The human race is evolving, and it has little to do with nature. It is down to our constant curiosity and our refusal to be content with the way things have always been. 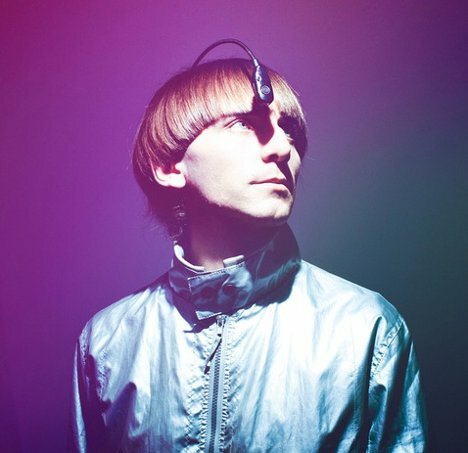 Neil Harbisson, the stylish gentleman above, is a recognized cyborg. His modification has to do with his inability to see colors. From birth, Harbisson has seen only black and white. But in 2004, he began wearing an eyeborg, a device that allows him to “hear” colors. The eyeborg creates a kind of artificial synesthesia: a condition that causes some people to experience sensory stimuli through different senses than ordinary. For example, synesthetes may experience numbers spatially or, as in Harbisson’s case, they may experience colors as sounds. Harbisson’s voluntary artificial synesthesia allows him to experience the world in a way that no one else does. He associates certain frequencies with certain colors, allowing him to “paint” with sounds. Using the sonochromatic scales above, he creates unique and surprisingly lovely soundscapes that let the rest of us share his unusual experience of colors for just a few moments. See more in Cybernetics or under Technology. February, 2012.